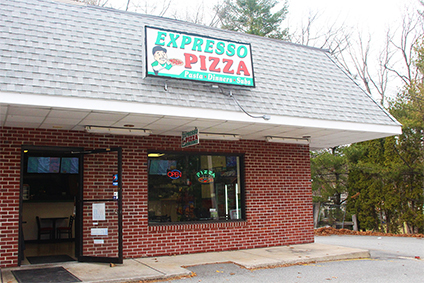 Expresso Pizza serves more than just mouth-watering specialty pizzas; we also offer a complete menu that includes tantalizing appetizers, pasta dishes, salads, calzones, wraps and dinners. At Expresso Pizza we use only the highest quality ingredients to make our own dough and sauce by hand every day. Come by today and see why our customers keep coming back for more. We look forward to serving you!